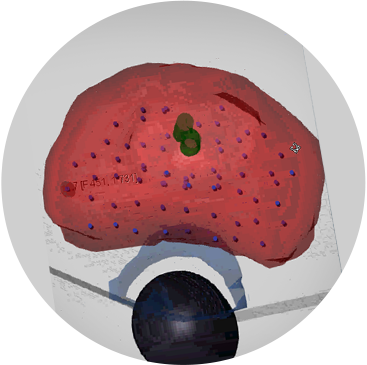 Our 3D mapping software is being developed to drive our workstation solution and enable third-party ultrasound systems and DICOM solution integration. 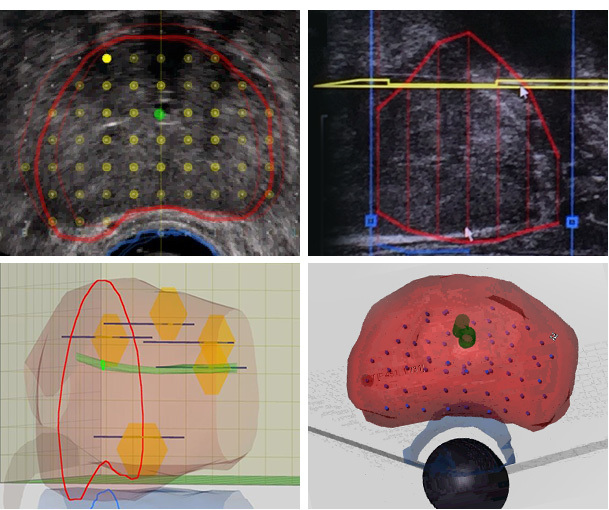 The software is being designed to provide real-time guidance of sampling during the biopsy by creating a “Virtual Prostate” and biopsy plan at the start of the procedure, which includes a dimensional display of the length, position and orientation of each sample. 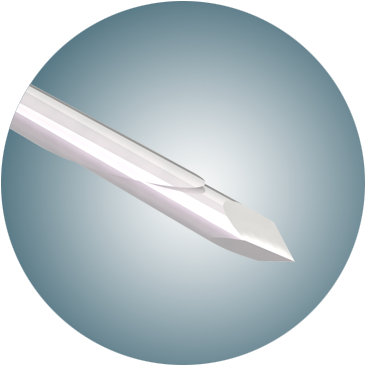 Standard biopsy needles have a specimen length of 17-20mm and require multiple in-line cores. The 3DBiopsy adjustable needle will take samples up to 60mm in length, from apex-to-base of prostate. Its unique design features are being developed to keep longer specimens intact, which may allow it to be used for both TRUS and transperineal biopsy. The 3DBiopsy actuator is a revolutionary new tool. 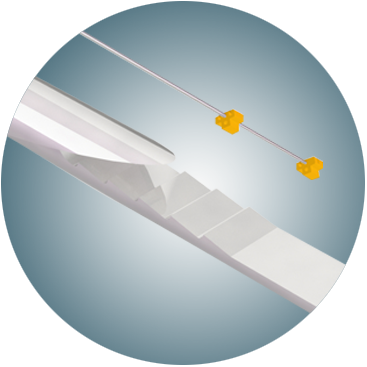 The actuator used in a traditional biopsy gives the physician very little control over how high, low or far the needle is fired into the gland. Too short, and the needle may not reach the lesion. Too long, and the needle may overshoot the gland, puncturing the urethra, bladder or blood vessels surrounding the prostate. With the 3DBiopsy actuator, the physician will be able to “dial” any specimen length depending on the size of the gland with the ability to select up to 60mm, based on information provided by the software. 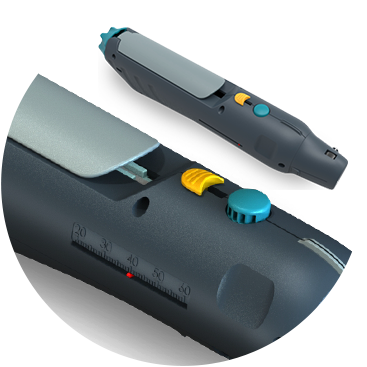 The 3DBiopsy actuator will also feature an ergonomic design, biopsy counter and an easy-to-load handle. Our integrated pathology system (IPS) specimen carrier will be the first of its kind with the potential to address the specimen tissue integrity and providence. Further, it will address concerns of biohazard risks in the operating room and lab personnel. The IPS will feature a self-sealing, folding design with an adhesive strip that lifts the core sample directly from the needle bed onto the carrier intact. Once sealed, the carrier will be placed in formalin for transport to the lab, where it is to be processed as a single, self-contained unit. The lab technician will never need to open the carrier or be in contact with the specimen. In addition to potentially protecting medical personnel, the system will track each specimen, maintain the integrity of the sample during transport and lab processing, ensure its precise orientation and secure the vital information that the sample contains within the IPS. 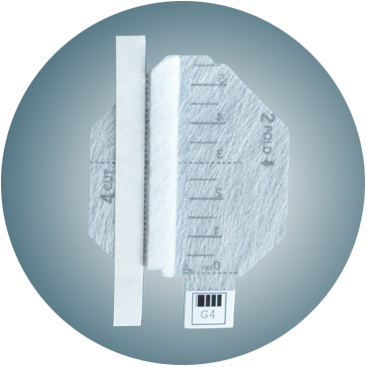 This may help to prevent specimen handling errors as well as reduce overall processing time. *Investigational device. Not available for sale.